Editor's Note: This is based on a 2013-14 Daily Prompt list provided for each month: This post required me to do the following : "Write about anything you'd like. Somewhere in your post, include the sentence, "I heard the car door slam, and immediately looked at the clock." I heard the car door slam, and immediately looked at the clock. "Oh, he has already reached home. Isn't this early? ", I thought. Wondering why he didn't give his usual call, I slowly got up from my desk and cleared out the half empty plate of potato chips that I was munching along with my afternoon tea. Although I was trying to work, I had decided to leave the television on. Now that he had reached home, I switched it off. I walked back to the kitchen door and opened the garage. I then went back to the kitchen and started making a new cup of tea as he was home early and that is what he loves. I let the water boil with the spices. "Ding" It was my phone. There was a message from someone. I went over to look at it and saw that it was my friend asking for some suggestions. I decided to reply to her as I waited for the water for tea to boil and him to walk in. I did not notice the time go by between our chat messages and the almost done tea. Where is he ?, I wondered. Shouldn't he have got in by now? I went out and looked out the garage door. Ah! It wasn't my hubby back home, but the lawn service guy. Assumptions! 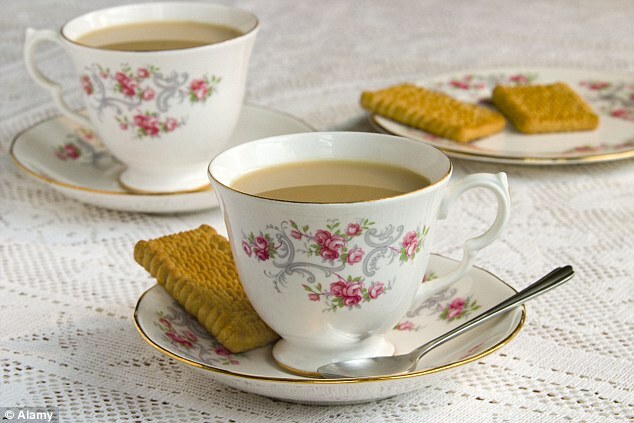 Well, anyways my tea is done and now, the question remains 'Can I have that second cup of tea? '.